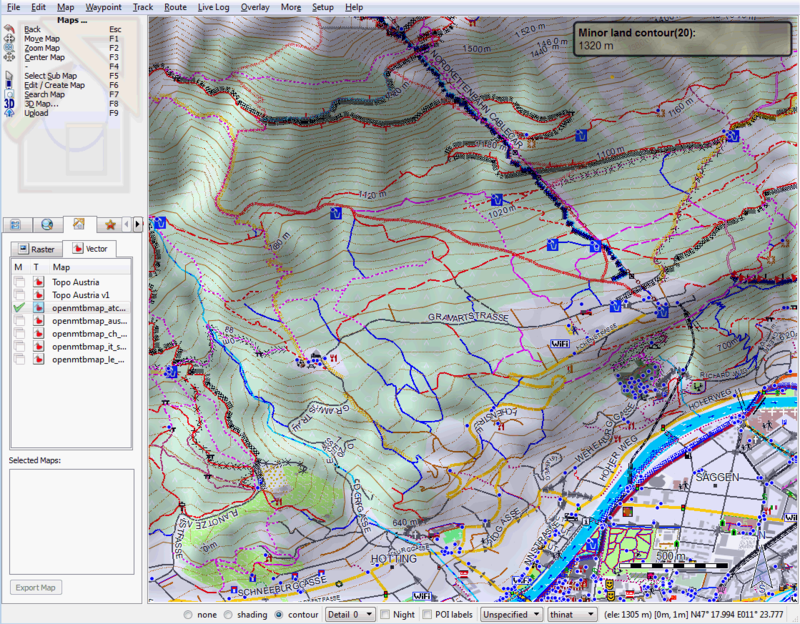 Easy installation in Garmin Mapsource, Garmin Basecamp or Qlandkarte GT to plan your tours and tracks on your desktop. Contourlines integrated nearly worldwide based on the excellent viewfinderpanoramas.org data. Much higher quality in mountainous regions than the generally used void filled SRTM3". Participate? Map Incomplete or wrong? 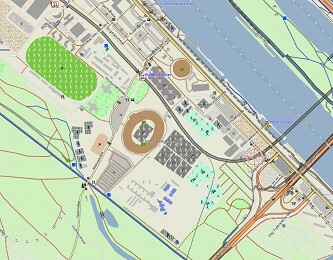 You can participate and add missing to OSM. I update the maps weekly, so every week the maps become better and more complete! Join over 300.000 mappers worldwide to add ways or fix data yourself. GoodDocumentation because everything you want and need to know for using the maps is found on Openmtbmap.org. Get Started and download the maps. Mac OSx Tutorial here. Velomap: If you're mainly cycling on-road or use your race bicycle, then I offer the similar VeloMap. The VeloMap has a focus on cycle friendly roads and cycle ways / cycle routes. As it shows less detail, it is quicker to understand. 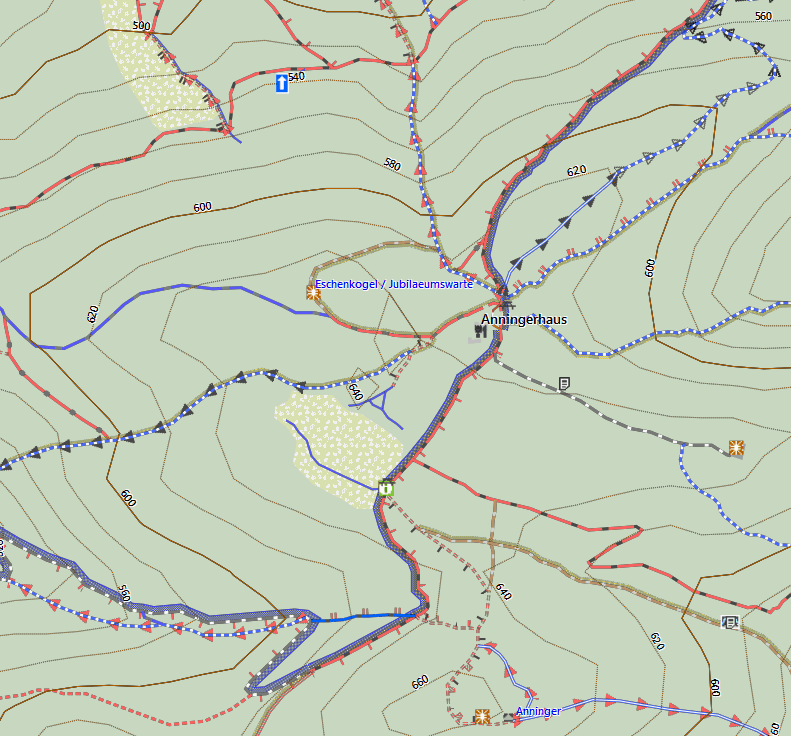 Who can use the openmtbmap? The maps offered here are of course, currently primarily used by Garmin GPS users and mountain bikers in general, but you don't need to have a Garmin GPS to use them. Qlandkarte GT an opensource and freely available Map Viewer can display them in all their pride, and also if not owning a Garmin GPS or buying maps from Garmin you can install Garmin Mapsource to your computer and enjoy autorouting like you have not enjoyed before. 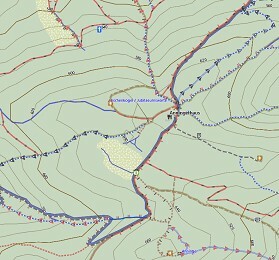 Besides third party progs like Glopus or Garmin Mobile XT can be used to display the openmtbmaps on your PDA or phone. I started working on OSM because I saw the chance that for the first time in history there could be maps by mtbikers for mtbikers. However there was not yet any structure to classify ways so I developed the mtb:scale as well as many other attribute keys for OSM. But hardly anyone used them, so I started to create maps that showed the tags, and after a few month put up openmtbmap.org to make the maps available for everyone to download. Currently around 2000-5000 unique visitors enjoy openmtbmap.org every day (as measured with Google Analytics). Openstreetmap gives us the ability to really create mtb focused maps – like no other map provider has ever done. Therefore I call on you – to get engaged and start participating like over 300.000 people worldwide already do!